In this section, Jim Savage discusses the importance of recognizing what makes people want to change, and offers tools for helping young substance abusers become motivated to make positive changes with regard to chemical use. a. One will be more motivated to change when it’s their own idea. b. The Stages of Change Model is an effective tool to help clients become motivated and establish a solid foundation for behavioral change. 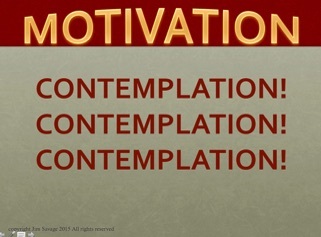 c. The Contemplation stage is where motivation occurs. Examples of contemplation work are given.